Mobile solutions are transforming our lives in an unprecedented manner. Old and young people are embracing smart phones and mobile solutions. Palisha (www.palisha.com) has one of the world’s advanced chemo management and administration software. The only other company (which we know of) which offers advanced chemo administration related solutions is INTRINSIQ (http://www.intrinsiq.com). It was recently acquired by AmerisourceBergen for $35M. We are bringing the power of our cancer treatment solution to mobile devices also. We have provider and patient versions of our mobile solutions. Also, our solutions utilize social networking aspects in a very creative manner. 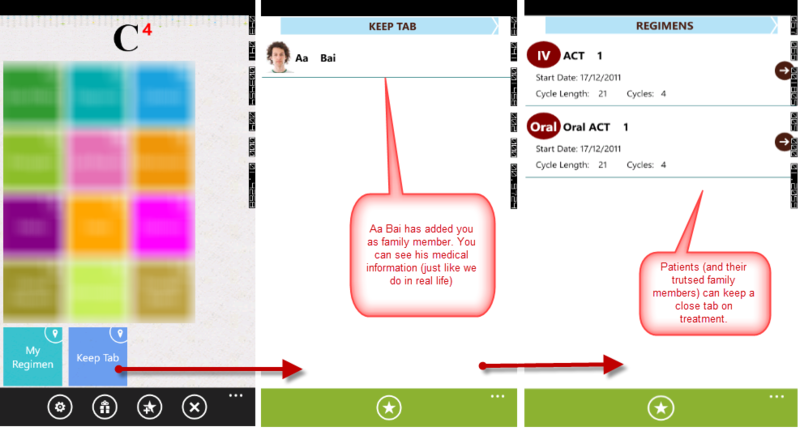 The above screen shot taken from our solution shows how one of your loved ones is keeping a tab on your cancer treatment. In this particular scenario, user is logged into patient application.